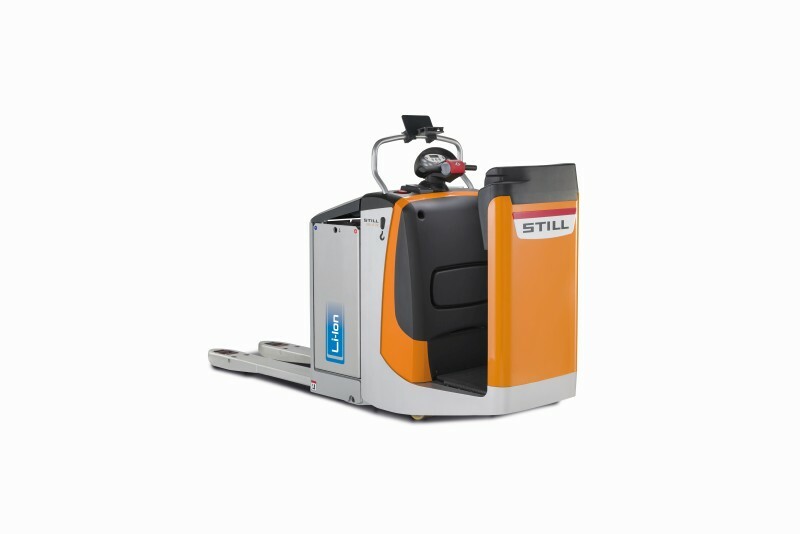 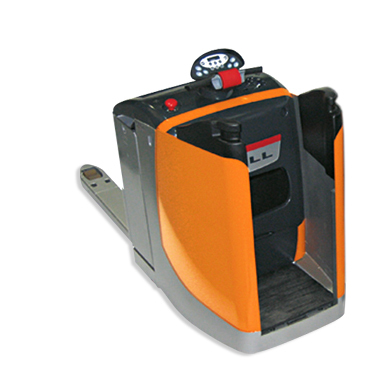 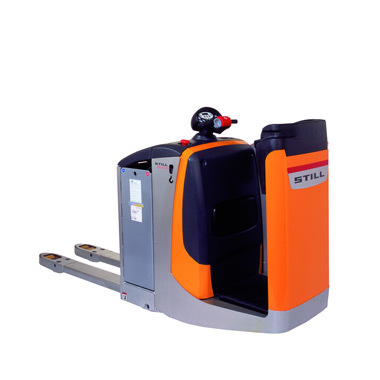 STILL’s EXU-S series of low lift pallet trucks with driver’s stand-on platform have been specially designed for the loading and unloading of HGVs using ramps. 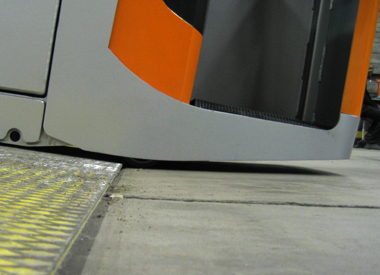 The slanted chassis mitigates the risk of becoming stuck or jammed on ramp transitions and ensures swift, safe movement on ramps. 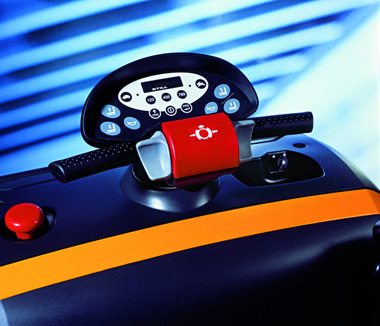 Steering is particularly smooth, while also offering manoeuvrability in even the narrowest of spaces. 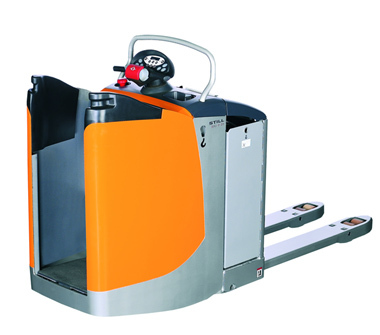 The trucks are available in two different platform designs. 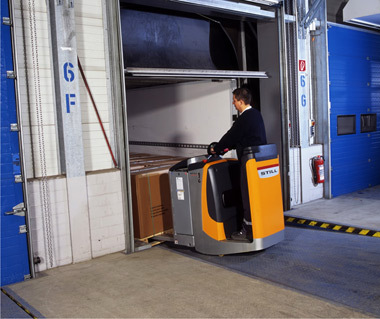 The side access model delivers optimal driver comfort and safety for handling work and horizontal transport over long distances, while the rear access model is the ideal choice for any application that requires the operator to regularly get on and off the truck. 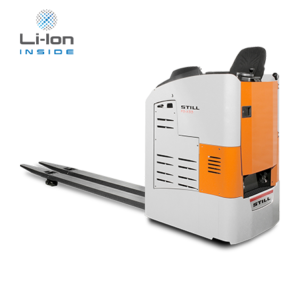 The EXU Li-Ion is an efficient and compact bundle of energy which guarantees optimum availability. 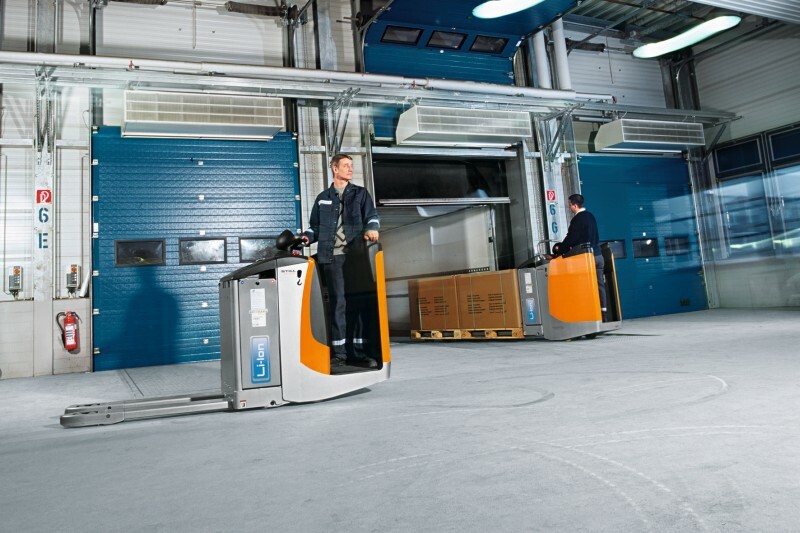 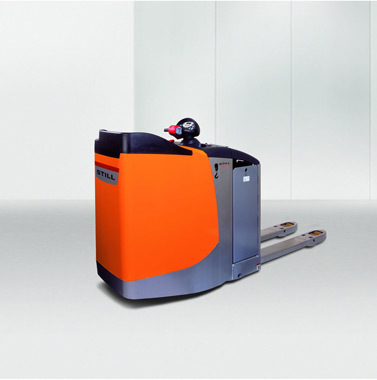 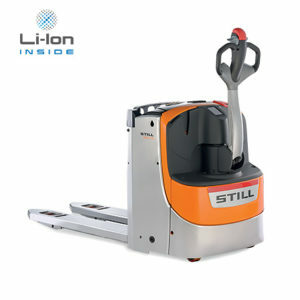 Not only is interim charging of the low lift pallet truck possible, but the charging process itself is significantly quicker than that of conventional lead acid batteries – the lithium-ion battery can be charged to 60 percent in just 40 minutes. 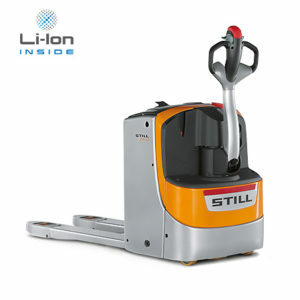 What’s more, the lithium-ion battery lasts around twice as long as a lead acid battery, is maintenance-free and can be used in a cold store. 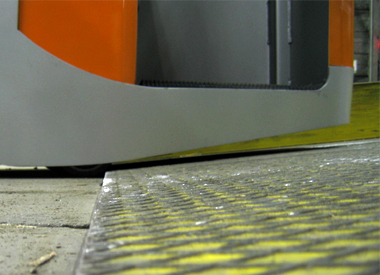 This groundbreaking technology is also setting new standards with regard to safety. 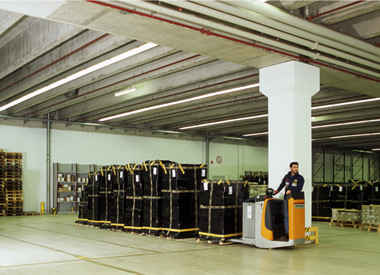 Every battery cell is monitored in real time. 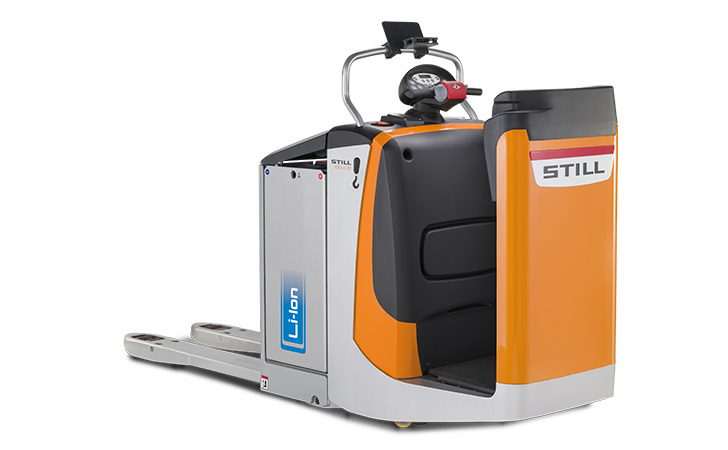 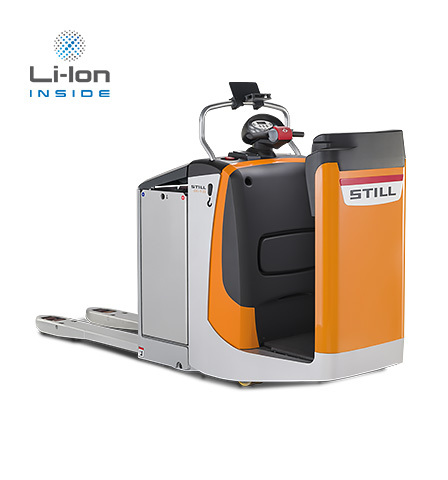 In short, the EXU-S Li-Ion is the ideal low lift pallet truck for extended periods of operation in industry, the retail market and logistics.